This slender EF0 tornado touched down briefly near Millbank but caused no damage. 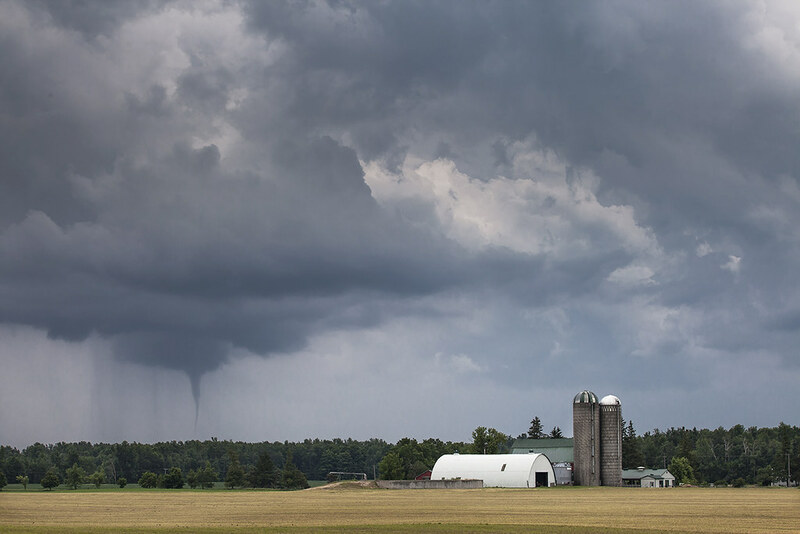 While the main line of storms along a cold front was crossing into Ontario along the shores of Lake Huron, a number of small storms popped up ahead of the line. Several photogenic funnel clouds were produced as these storms rapidly intensified. 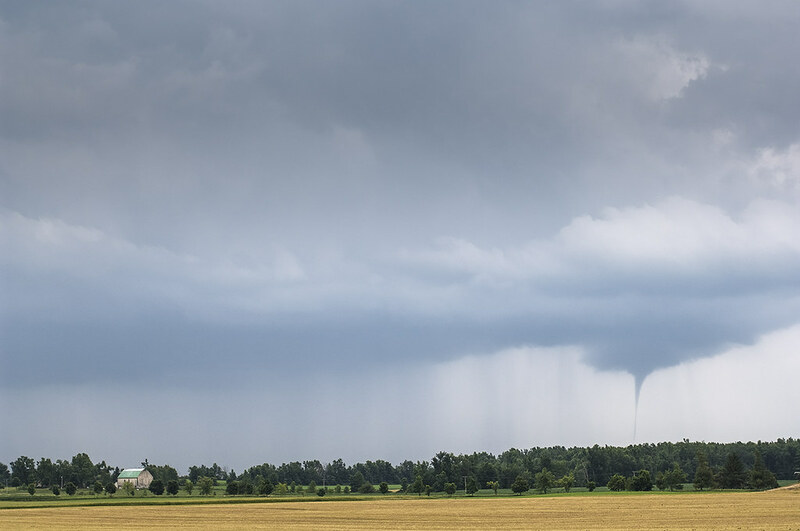 In particular, one funnel near Millbank was captured in photos and on video by several witnesses, a slender pencil-shaped tube that was condensed almost all the way to the ground. A Canwarn spotter did report observing swirling dust and debris at its base, confirming the tornado touchdown, though no damage was done.